Here are all my favorite tools, products, resources, and anything else I use to run my business and fuel my passion! There are a lot of tools that I recommend and turn to all the time, so I’ve it all on an Amazon list. I’ve left the full post down below if you want to read a little about why I love each item and what I use it for, but the Amazon list will be updated more frequently. If you have any questions or would like a more detailed review of something, just let me know in the comments! I’m always using new tools and trying things out! Disclaimer: this post may contain affiliate links to products I use and recommend. 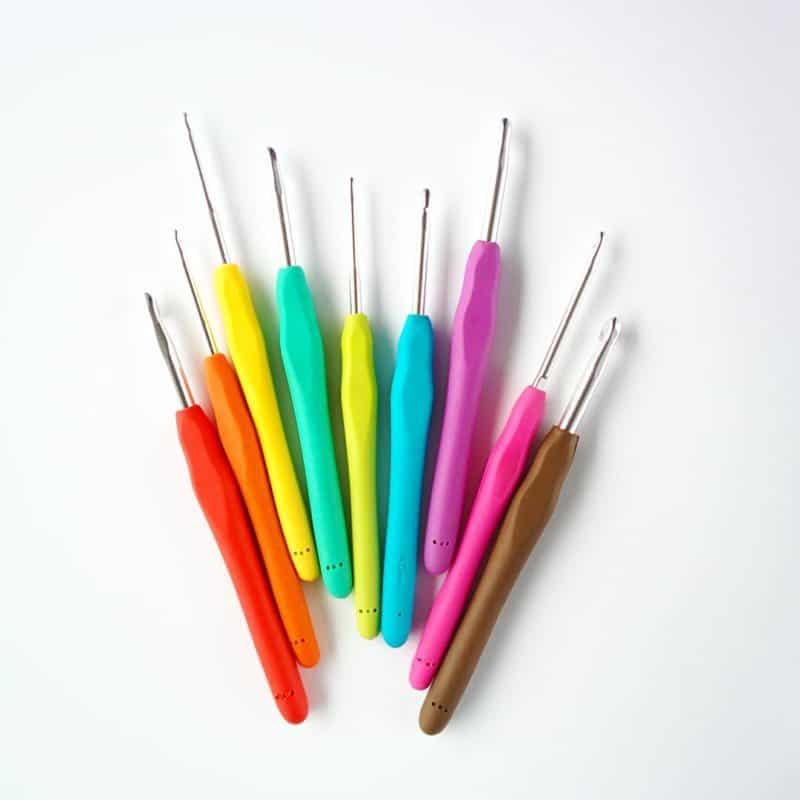 Knit Picks Crochet Hooks – My new favorite! Read the full review here. Boye Aluminium Hooks -These were my first hooks and I have them in almost every size! 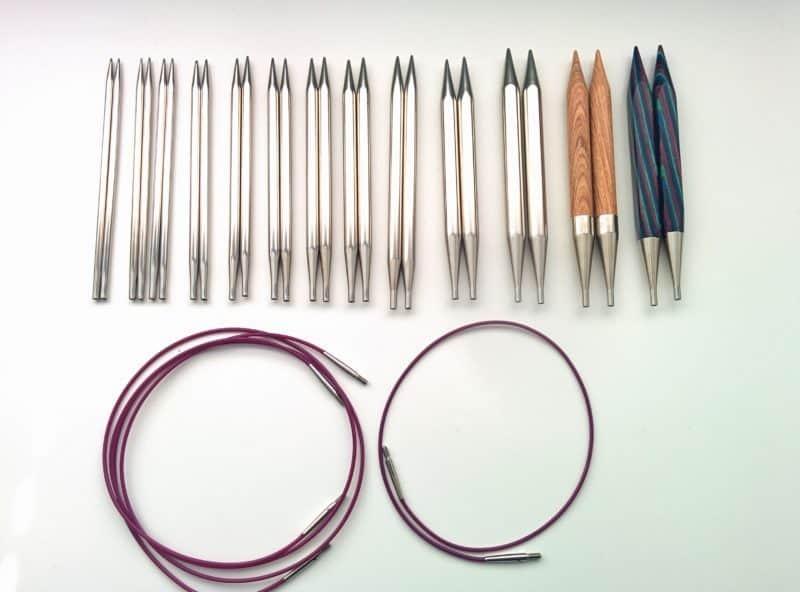 Options Interchangeable Set (Nickel) – I prefer interchangeable needles to straight or circulars, and these are still like new after 8 years! I also have one pair of their Sunstruck wood tips and really like it. Tapestry Needles – I like the Clover Chibi needles for most projects and the jumbo ones for projects with bulky yarn! Especially since they come in their own cases. 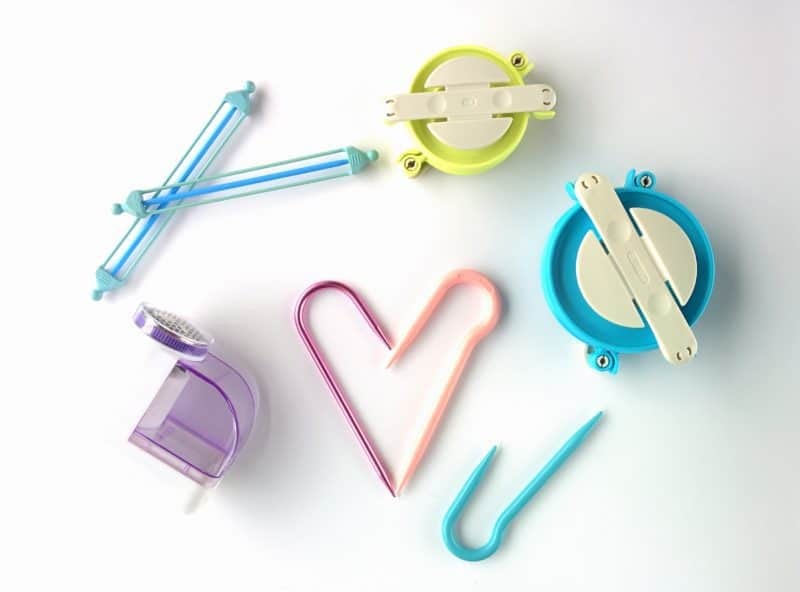 Stitch Holders – These also come in different sizes. Tape measure – I love this Knit Happy one, it’s so durable and doesn’t get stuck like others. View Sizer – This 6-inch ruler has holes along the side for measuring needle sizes and a magnified area for checking gauge! So, of course, it’s never far from my side. Pom-pom Makers – The BEST way to make a fluffy pompom! Lint Shaver – This handy little tool helps me clean up my work when it gets really fuzzy from being handles/used. It just shaves off the top layer of fuzz so you see the wonderful stitches underneath! Yarn Ball Winder – absolutely essential for using hanks of yarn or keeping your stash neat. Plus, it’s one of the few nice-looking ones available. Drawer Unit – I use these to hold the majority of my yarn and although they don’t look like it, they hold quite a lot. You can also get prettier versions, but these are the ones I use. I have two of these large ones and one mini drawer unit for my tools. Storage Bins – For my bigger skeins of yarn and my current WIPs, I use these fabric storage bins. That way, the yarn I keep around but don’t reach for as much doesn’t take up space in my drawers. Also, having a current project bin makes it easy to bring my stuff with me when going to a different room or just keep all the things I’m using in one place. I also use these to organize my closet! Needle Case – I just got this case for interchangeable needles and I am amazed by how much it holds! 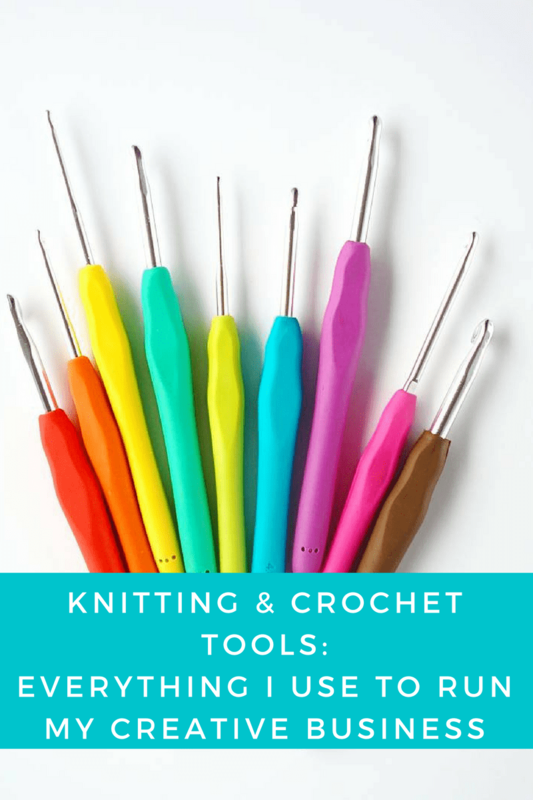 Not only do I use it for my needles, it houses my crochet hooks and most of my little notions too! 500 Crochet Stitches: The Ultimate Crochet Stitch Bible – am pack with tons of crochet stitches to learn! I always turn to this when I’m looking for new textures or inspiration. There are pictures, charts, and short descriptions for each stitch. Positively Crochet: 50 Fashionable Projects and Inspirational Tips – This was my first ever crochet book. I bought it when I was just learning but was tired of making scarves. Although I’m not crazy about the designs anymore, they’re nice and they really helped me branch out and learn new things. It’s also full of pictures and big text so it’s easy to follow along with. 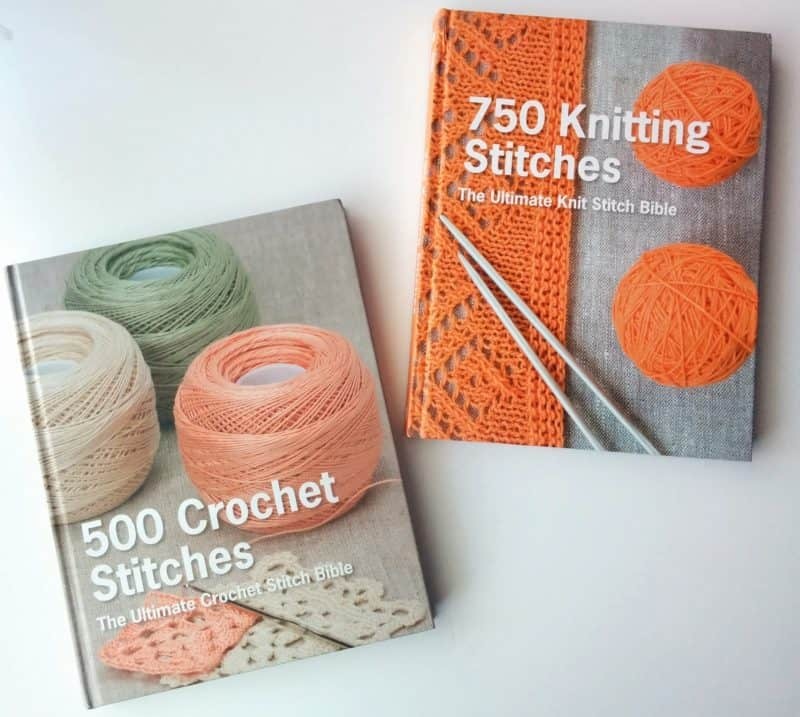 750 Knitting Stitches: The Ultimate Knit Stitch Bible – Same as the book above, but for knitting stitches. 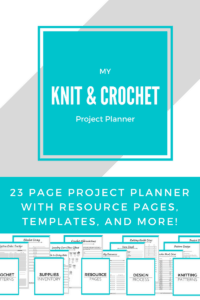 It’s super helpful and I use it all the time! 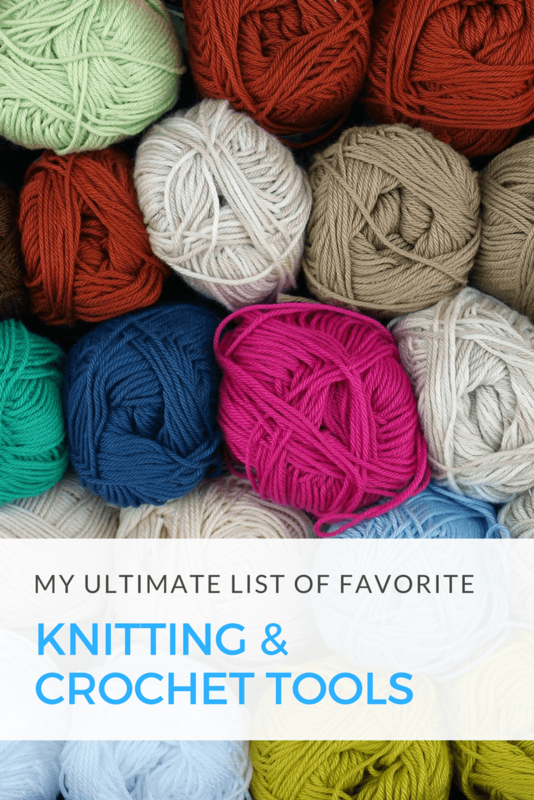 Luxury Yarn One-Skein Wonders: 101 Small Indulgences – I didn’t realize luxury yarn was a thing when I bought this, but it’s still an incredible book. It’s full of gorgeous design and really special little items. I’ve made so many gifts using patterns from this book and even with non-luxury yarns, they look so lovely in the end! I want to get the other One-Skein versions of this, like the Crochet one, but don’t have any yet. Cutest Ever Baby Knits – The title really says it all, doesn’t it? Baby items are some of my favorite things to make and all of the designs in here are adorable. They’re simple, easy patterns but everything looks and feels special. The book also has a lot of information and tips at the beginning to help you out. And there are so many pictures of cute babies in it! 60 Quick Knit Baby Essentials: – This book is full of amazing patterns that are a little more advanced than the book above, but not by too much. 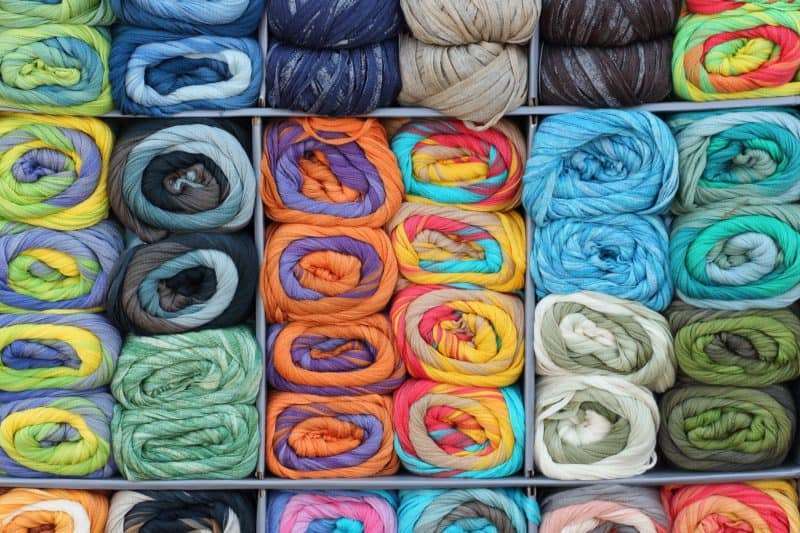 The patterns are still simple, but a lot more elegant, diverse, and varying in size. Some of these patterns have toddler sizes, too. These patterns use Cherub from Cascade yarn, but you can use whatever yarn you want, of course. I think I covered pretty much everything I use, and I know it’s a lengthy list. So, I’ve also created a concise checklist for you that just lists all the items I use and a link to where to get it. Or, take a look at the Amazon list and buy directly from there! That way, you can shop easily and you still have the option of coming back here to see exactly why I love each product! 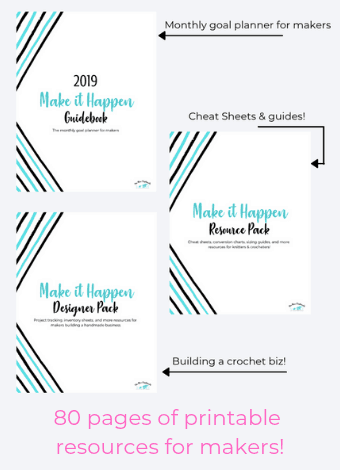 All you have to do is subscribe down below and you’ll get access to the resource library with the checklist and other subscriber-only freebies!